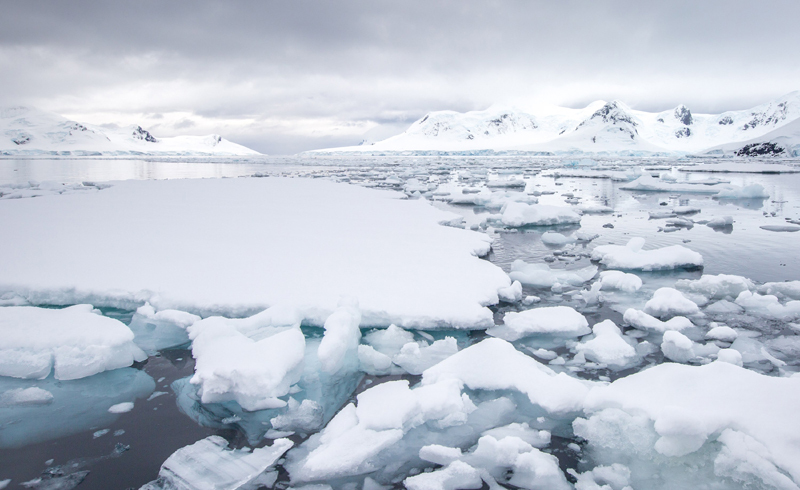 From mighty glaciers and an icy ocean to a vast array of wildlife including penguins, whales, and seals, there is a lot to admire on an expedition cruise through Antarctica. First things first: Take the appropriate steps to protect your camera gear. You'll be on a cruise, which means your equipment will be susceptible to wind, water, and very low temperatures. It's recommended that you use a dry or waterproof bag to keep your camera gear in good shape. When your camera is in use, you can protect it by placing it in a large resealable plastic bag; simply cut a hole where the lens is so you can properly take photos. 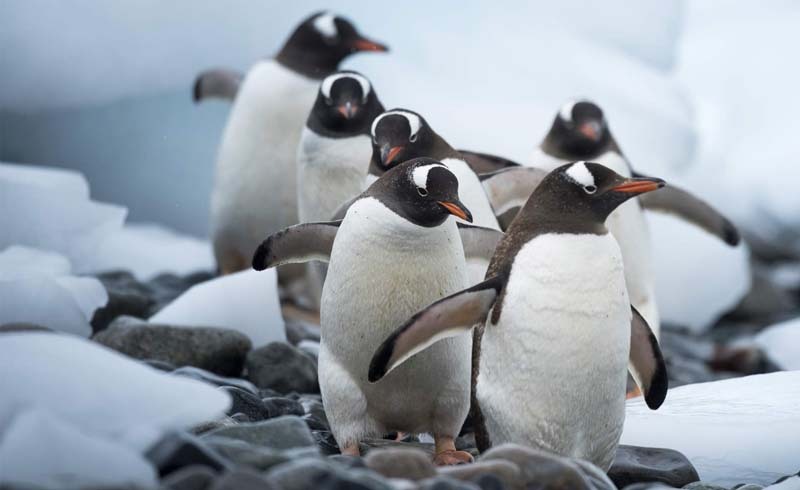 When you spot a colony of penguins, you don't want to be left with a camera containing dead batteries; always bring extra batteries and a charger so you have a backup plan. And, make sure to keep the batteries close to your person, as cold temperatures can cause them to lose their charge. It's also a good idea to carry a lens cleaner; if debris or water droplets get on your camera, they can be wiped off quickly and won't interfere with your shot. Many photographers rely on a tripod to help them achieve clear photographs. But when you're on a small ship, you're not going to want to lug around a tripod. If you feel you really need one to take pictures, we suggest bringing a monopod, a lighter and more versatile option. A zoom lens is crucial for capturing close-up photos of the Antarctic wildlife; IAATO, the International Association of Antarctica Tour Operators, has set certain regulations that require visitors to keep a distance of at least 20 feet from penguins and 50 feet from seals. When you photograph an iceberg up close, you won't really be able to tell how big it is—or where it is—in comparison to the rest of the environment, without having any context. Zoom out and capture the mountains, other icebergs in the background, or even a small boat cruising by, in order to express how magnificent these glaciers are. The bright Antarctic sun can sometimes overexpose photos, which is why using a polarizing filter is crucial. This tool helps tone down the overwhelming nature of the brightness and even brings out the blue color of the icebergs and glaciers. Instead of taking pictures of animals towering over them, try and get low to the ground to give your pictures a varied perspective. Experiment with different angles and points of view no matter what the focal point of your shot is.